We’re excited to finally see a project in the making that tells the story of independent soul music, the movement and the artists that have worked tirelessly recording, touring and promoting their music to the masses from state to state, city to city and for a fortunate few country to country. These artists have weathered the storm with no radio exposure, very limited financial resources, grassroots distribution and word of mouth via social networks as far back as Black Planet and Myspace. As we well know there are different levels and layers when defining “independent” artist but there is something very authentic and genuine about the independent soul music artist and the movement that has sustained them for nearly two decades. 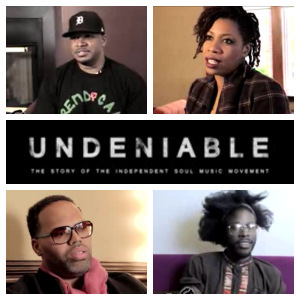 Undeniable – The Story of The Independent Soul Music Movement is a documentary film directed by John C. Jointer and scored by +FE Music recording artist/producer and multi-instrumentalist Zo! In order to see this amazing project through to completion we must support this film financially and spread the word worldwide. Please visit the film’s Indiegogo page for contribution details. 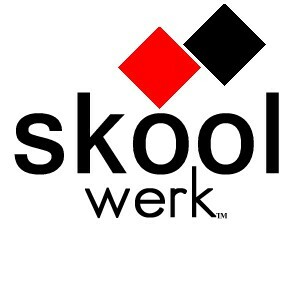 Check out the trailer and visit the film’s social media sites below. Coined everything from “Indie Soul” to the “Honest Music Movement,” “Undeniable – The Story Of The Independent Soul Music Movement” traces the heretofore untold stories of artists and music lovers right from its late 1990s origins through the halcyon days of the mid-2000s to the lawless rule of today where throughout the collective goal is still to develop, maintain, and grow a space in the global cultural landscape for this multi-tentacle brand of “honest music.” In candid, digitally shot, in-person interviews with those who were there and those pressing the movement forward against impossible odds, “Undeniable” introduces a range of talented “newcomers” to the mainstream film-going audience. Director John C. Jointer uncovers former A-list veterans who found a second life through these new technologically driven models after being told they were too old or not the new major label prototype for the successful international pop star. “Undeniable” plans to juxtapose the plight of fresh young musicians who’ve never had a major label deal as well as those who were signed, shelved, but never saw an album release with those veterans now being represented by large independent labels like eOne, Malaco, Shanachie, and Stax/Concord, or at small indies like Dome, Stones Throw, Giant Steps, and Purpose Music Group. Their range in entering these new music identities complicating who gets to authentically call themselves an “indie artist” in a game where credibility is as elusive as it is key. S T R E N G T H For those of us that are still hurting and deeply saddened by the loss of Nipsey Hussle listen to these spiritual words of strength, peace and comfort from Nipsey's mom. We definitely needed to hear this as we continue to keep Nipsey's family and loved ones in our thoughts and prayers. 🙏 Be encouraged and fear not.